Reading Bolt is a flexible framework that strives to encourage students to read more — that is, a greater quantity of books at a higher text complexity — by leveraging some of the features that make games so compelling. A “teacher’s manual” describing (1) the theory supporting gamified independent reading and (2) detailed instructions for gameplay. Our most popular framework of points, levels, and challenges used (as a fully editableWord document). 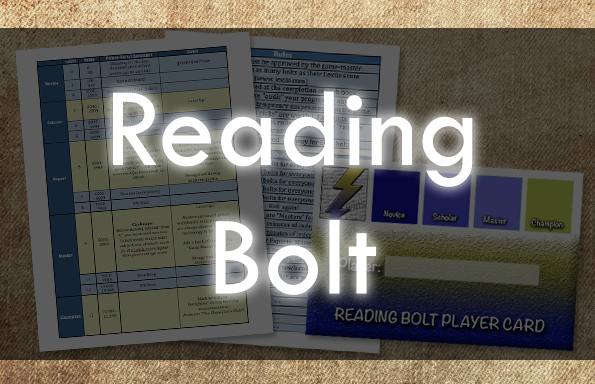 Purchase Reading Bolt now and gamify your independent reading program tomorrow for only $11.99! Reading Bolt represents an effort to practically extend the mounting research on gamification into education. 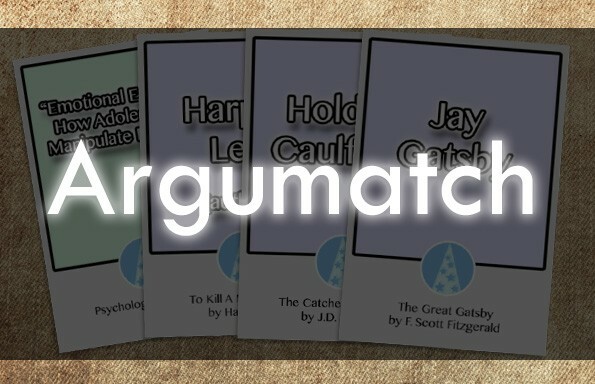 In short, Reading Bolt is a flexible framework that strives to encourage students to read more — that is, a greater quantity of books at a higher text complexity — by leveraging some of the features that make games so compelling. Picture this: It’s Wednesday morning, you’re sitting in homeroom, and you’re thumbing through Laurie Halse Anderson’s Chained. You finished the book last night, which is thrilling, considering it was a great read and it earned you 780 bolts. You were at 3,500 last week — a level 4 novice — and already you’ve broached 4,000. But if you want to level up, to leave your novice status behind and to transcend into level 5 as a scholar, you’ll have to complete the literacy quest given to you by the game-master this afternoon. Your thoughts are disrupted by the morning announcements as they come over the loudspeaker. Jonathan is congratulated for achieving scholar status. Lindsay has leveled up after reading three works of non-fiction. And you, having completed your second piece of historical fiction, have just been deemed “master.” Nice! 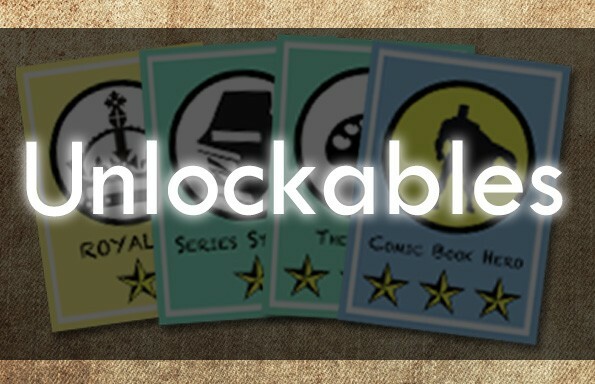 An announcement is also made indicating that any books completed today are worth double bolts! YES! Exit dreamscape. Enter Reading Bolt. Purchase Reading Bolt now for only $11.99!